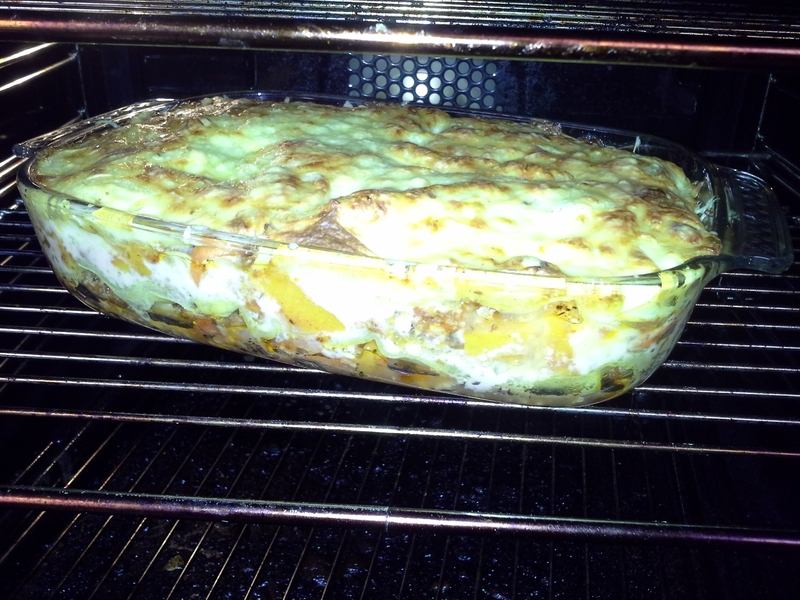 I made this lamb and butternut squash lasagne for dinner tonight. My husband and kids loved it, and I was asked for the recipe by one of my Twitter followers. I don’t tend to use recipes, particularly for main meals – where I just tend to throw in lots of veg and use whatever needs using from the fridge – especially on a Friday when food is getting scarce. Meanwhile, make your white sauce by melting the spread in a saucepan. Once melted, whisk in the flour to make a paste. Gradually whisk in the milk, bit by bit, until you achieve a lump-free mixture. Slowly bring to the boil, stirring frequently at first, and then stirring constantly once the milk gets hot, to prevent it sticking to the bottom and sides of the pan and forming lumps. I used a whisk to do this. Just over £1 per serving – £4.30 for the entire meal excluding salad. However, I did buy my minced lamb half price, so expect to pay a little more if yours isn’t on offer – or try frozen minced lamb which is usually cheaper than fresh. The post Lamb and butternut squash lasagne appeared first on Expert Dietitian.